I spent most of this week helping my mom clean out her office. As a small reward, look what I found! 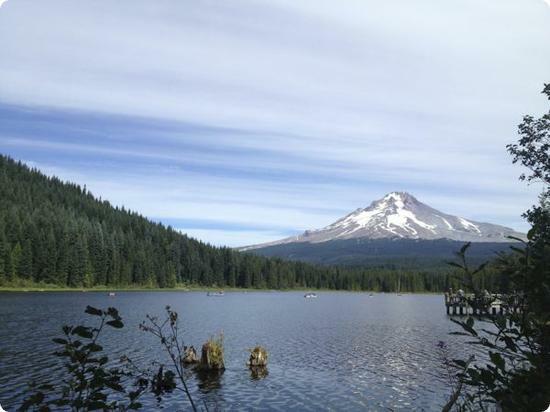 Hope you are getting outside and enjoying the best of our summer weather! 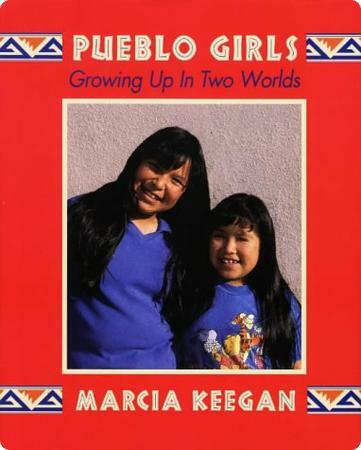 The Scoop Pueblo Girls: Growing Up in Two Worlds gives a straightforward view into what it's like to live in today's Pueblos. The storyline isn't super engaging, but if you're headed to New Mexico or Arizona it's a nice way to give your kids a realistic view into a world that is at once very similar to their own and also very different. When we're traveling, even with the kids, it can be tough to feel like we've connected with the way people live now. We can see there homes, we can read about or enjoy museum exhibits about the history, but what is it like to blend old and new in the real world? Pueblo Girls: Growing Up in Two Worlds attempts to answer that with photos and descriptive text about two girls who live in the San Ildefonso Pueblo twenty-two miles north of Santa Fe. It's a fact filled book that shows pictures of home, school, and local ceremonies. Though the storyline isn't strong enough for kids to develop a true connection to the two girls, Pueblo Girls is great background for kids visiting New Mexico or Arizona. Disclosure: I purchased this book myself, but whenever I receive a free product or service, I will always let you know. If you buy a product through one of my Amazon links, I do receive a small commission, and that income helps me keep this site going. Does your child have impossible dreams? 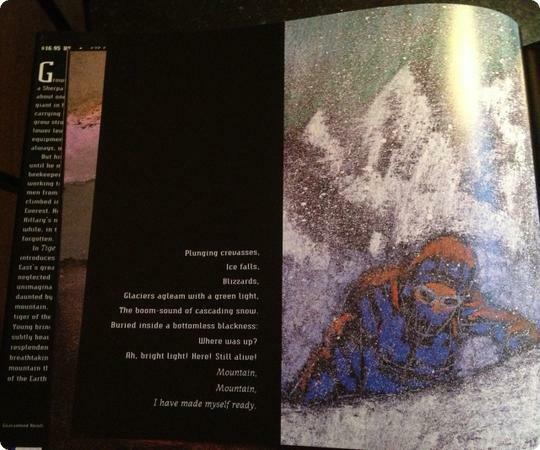 Or perhaps he or she is more like my son, Everest, who is so pragmatic that it sometimes gets in the way of big dreams? 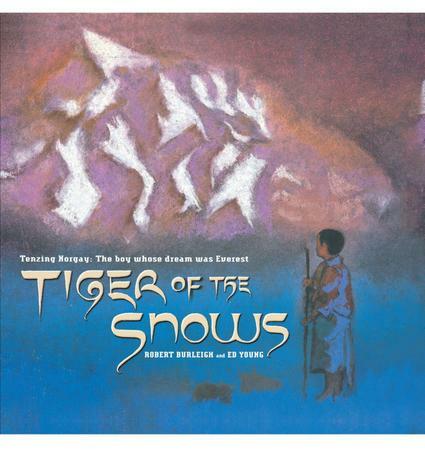 Tiger of the Snows: Tenzing Norgay: The Boy Whose Dream Was Everest is about how the childhood dream of Tenzing Norgay, who grew up in the shadow of Mount Everest, came true when he summited the mountain with Edmund Hillary. It's a serious story, best received by readers 5+. The poetry avoids the saccharine sweet rhymes that dominate most children's books, and coupled with the adventurous story it's a great fit for young boys. Side note: This seems like such a lovely way to honor Tenzing Norgay's contribution. In western culture, we tend to honor those who look like us more than people from other cultures, and at the time Hillary received higher honors than Norgay. He is widely regarded as inspirational by many Asians, and his is a story of the ability to grow from a humble childhood to worldwide fame through hard work and focus. 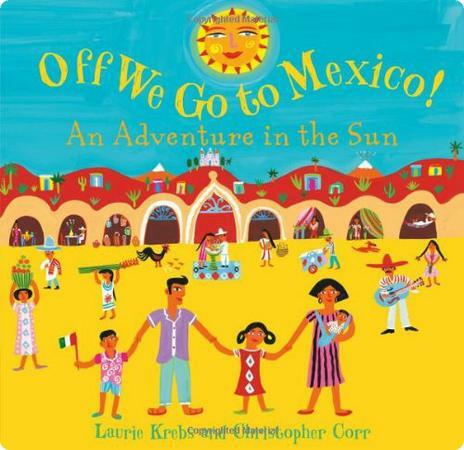 Off We Go to Mexico is best for young kids (age 2-5) who aren't expecting a storyline, but will enjoy this book's detailed, colorful pictures and lilting rhyme. Off We Go to Mexico gives a nice overview of Mexican culture the way a child might experience it. 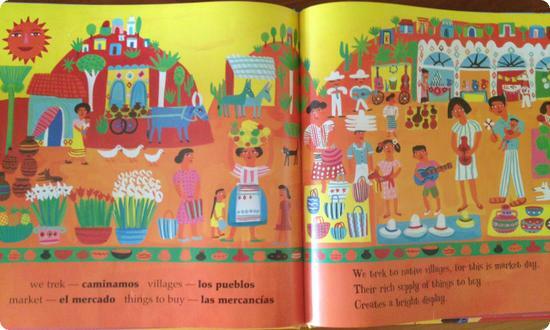 If your child is learning Spanish, translated words and phrases, included in each two page spread, could be a great conversation starter, and if a trip to Mexico is the first time your child will be encountering a foreign language they'd be a great opportunity to discuss how that works. If you're headed to Mexico, the simplified match at the end of the book would be a great way to point out where you're headed without getting drawn into the details of roadways and geographic features. Disclosure: I received a free review copy of this book so that I could check it out. I will be donating it to my children's school library. If you buy a product through one of my Amazon links, I do receive a small commission, and that income helps me keep this site going. 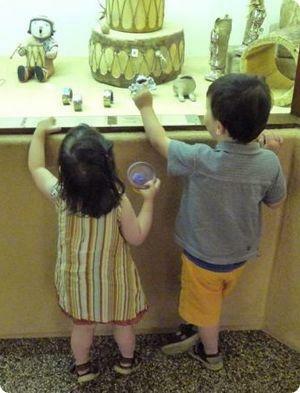 We're always sort of nervous when we take the kids to a historical or cultural museum. True, there have been some sticky moments, but more often they surprise us by finding something they're interested in, as they did in this picture taken at the Indian Pueblo Cultural Center in Albuquerque. When we're at our best, we can use that as a hook to carry us through a bit more of the collection. 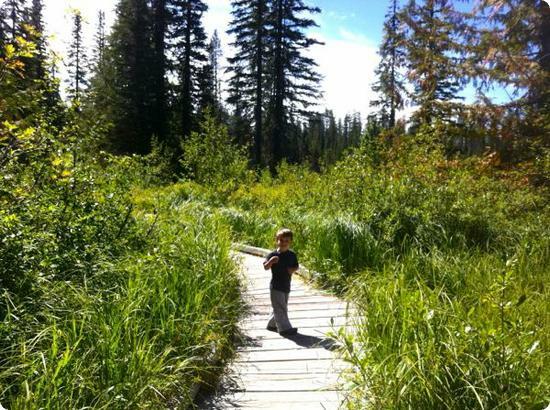 There's something special about taking your own kids to do something that was magical for you as a child. 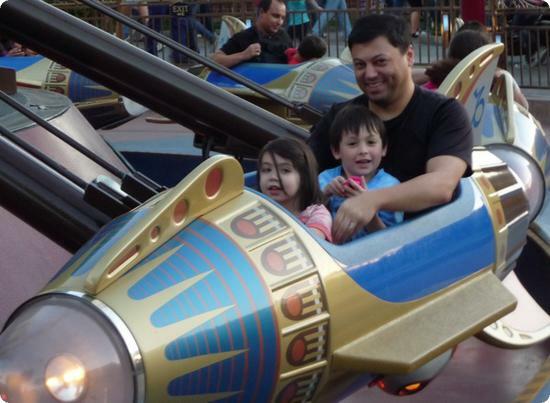 For me, the opportunity to be up high, sailing through the sky on the Astro Orbiter, is a hazy childhood memory, so it has been fun to revisit this ride year after year at Disneyland. 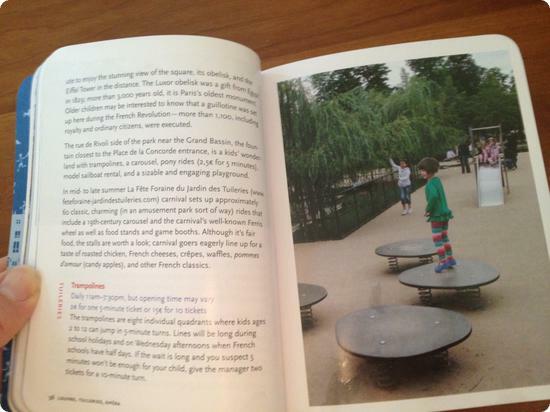 The Scoop The Little Bookroom Guide to Paris with Children is the kid-friendly guidebook you wish you had for every city. The author, who knows the city like a local, provides recommendations and advice to help you get the most out of grown-up attractions like the Louvre, find kid friendly activities like French cooking classes, and eat in restaurants that feature French food but also accomodate American-food-focused kids well. 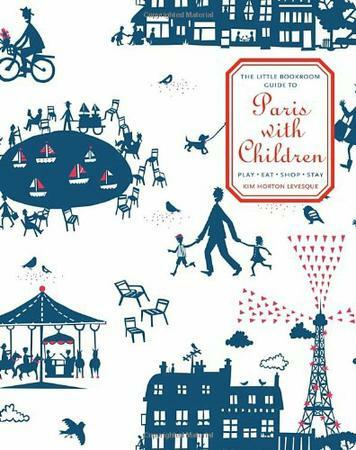 The cover, and small size make The Little Bookroom Guide to Paris with Children feel like a special gift from your most stylish friend, and somehow that made it hard for me to take this guide to Paris with Kids seriously. It sat on my nightstand for weeks before I finally cracked the cover. 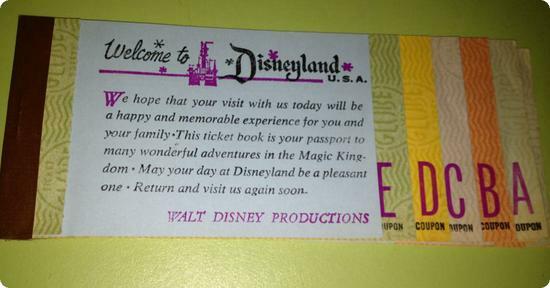 I read the introduction in detail, and then focused on the sections of the city that I know best, inspecting to make sure that the advice made sense for kids, that the author was recommending quality restaurants and attractions, and that the organization made sense. I'm a tough audience when it comes to guidebooks since each one weighs heavy in a daypack already loaded down with sippycups and wetnaps. 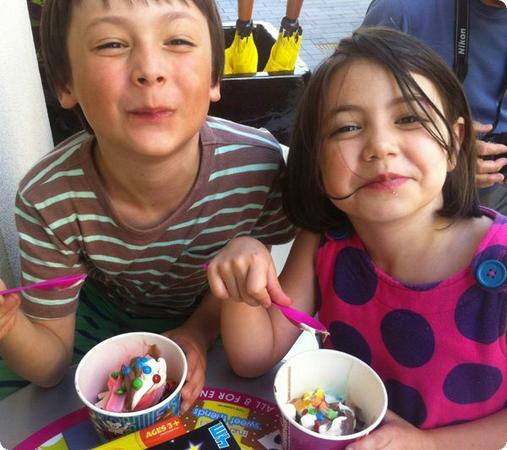 The Little Bookroom Guide to Paris with Children: Play, Eat, Shop, Stay really delivered. I loved the suggestions in the introduction for bilingual summer day camps and year round festivals that would appeal to children. There's even a list of babysitting services. That's the type of information a friend in the area might have, but you'll rarely see it in a guidebook. The neighborhood guides did a good job of giving kid-centered advice about what to do in each of the most touristed parts of Paris. 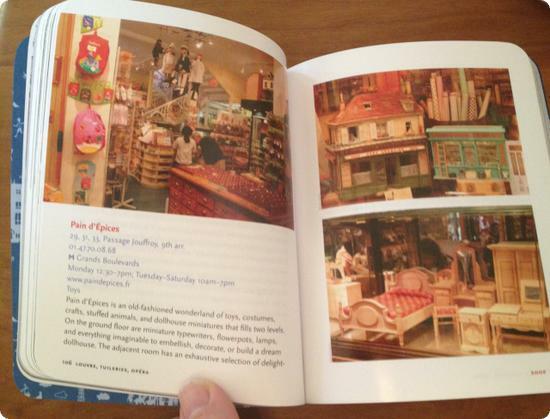 Listings included a few kid focused options (for example a cooking school near the Louvre) and the major attractions. Each listing is brief, but gives you an overview of how you might attack it with kids in tow, and an overview of the snack or meal options inside (you know you'll never make it through the Louvre without a snack break or two). Restaurant recommendations run the gamut from quality local places that accomodate kids well to kid-comforts like the Hard Rock Cafe. Can I include a quick plug? If you're already carrying your smartphone on vacation, consider adding all your favorite Paris recommendations to TripDoc (my iPhone app). Just give TripDoc the names, and it will plot them all on a map so that you can plan out your days and find your way around Paris. Disclosure: I received a free review copy of this book so that I could check it out. I donate products valued over $40 to charity. This book, valued at $19.95, is being loaned to a series of Paris-bound friends this summer. If you buy a product through one of my Amazon links, I do receive a small commission, and that income helps me keep this site going. TripDoc is the iPhone app my husband and I co-developed.